Los Angeles Wedding Officiant loves “green” diamonds! I was so happy to see Offbeat Bride feature this beautiful set of wedding rings, which are being voted on in the Today Show’s dream wedding give away! 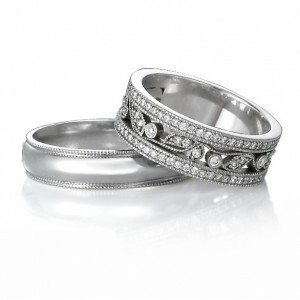 I encourage you check out the rings on The Today Show’s facebook wedding page and vote for the Brilliant Earth rings! This is the first time in the eleven year history of this wedding competition that a “green” jeweler has been featured, so it’s incredibly important to show your support for this wedding trend! In other news, I’m offering $50 off any couple’s final fees, so if your friends, coworkers or family members are looking for a wedding officiant in the Los Angeles area (including pretty much anywhere within 75 miles of LA! ), please send them my way. I’ll reward any booked referral with a $20 gift card to iTunes! This entry was posted in Uncategorized, wedding officiant and tagged green diamonds, green wedding, Los Angeles, Today Show, Wedding contest, wedding discount, wedding officiant. Bookmark the permalink. 2 Responses to Los Angeles Wedding Officiant loves “green” diamonds! I saw your site via bing the other day and absolutely like it so much. Continue the good work.